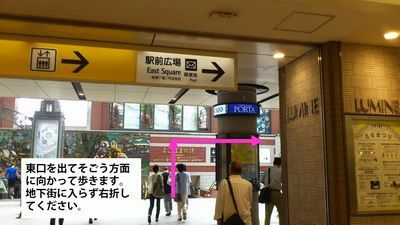 Exit the east entrance (東口) and walk towards Sogo(そごう). 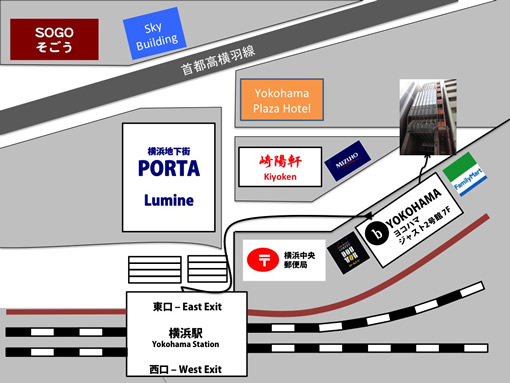 Take a right. Do not get on the escalator that goes to the underground shopping area. 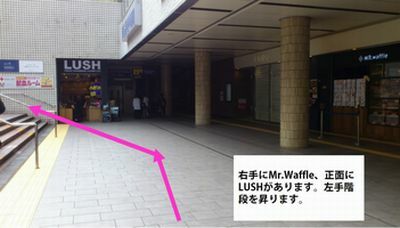 You’ll see a soap shop called LUSH in front of you, and a Mr.Waffle (waffle shop) on your right. Go up the stairs on your left. 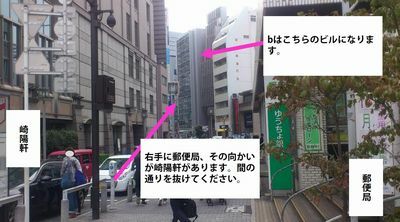 Go up the stairs, then you’ll see a post office on your right and Kiyoken(崎陽軒) across the street from the post office. 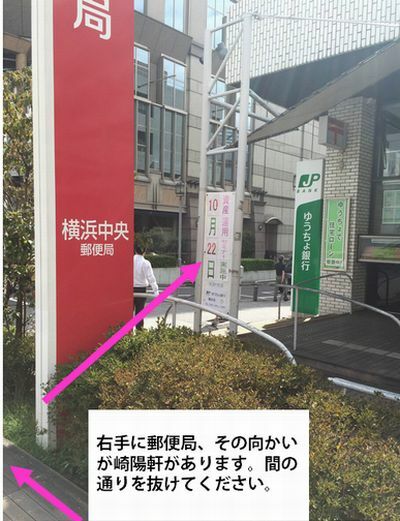 Take the street between the post office and Kiyoken. You’ll soon find our school on the right hand side. 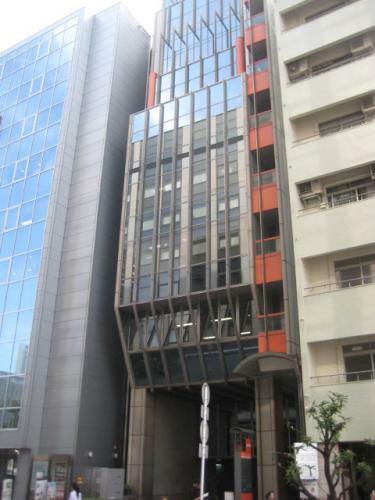 Our school is on the 7th floor of this building !